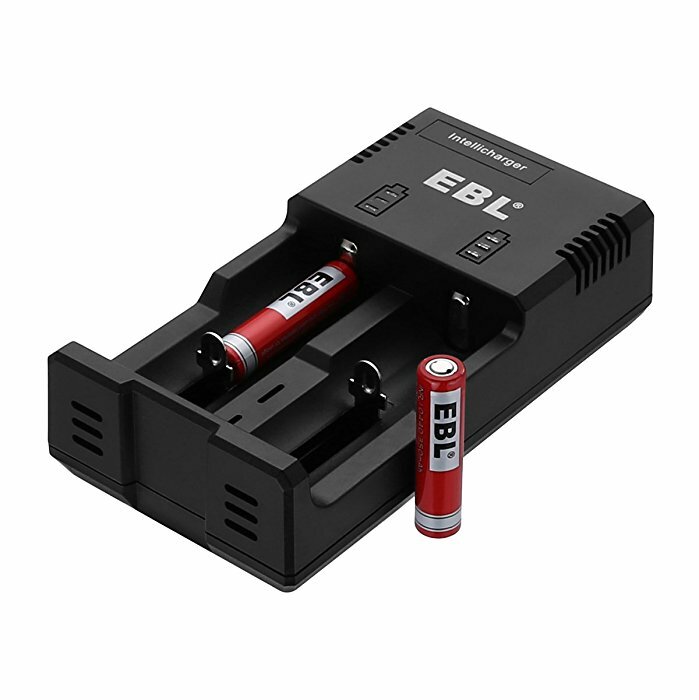 The rechargeable battery charger has two charging slots for 1 to 2 different batteries to charge. 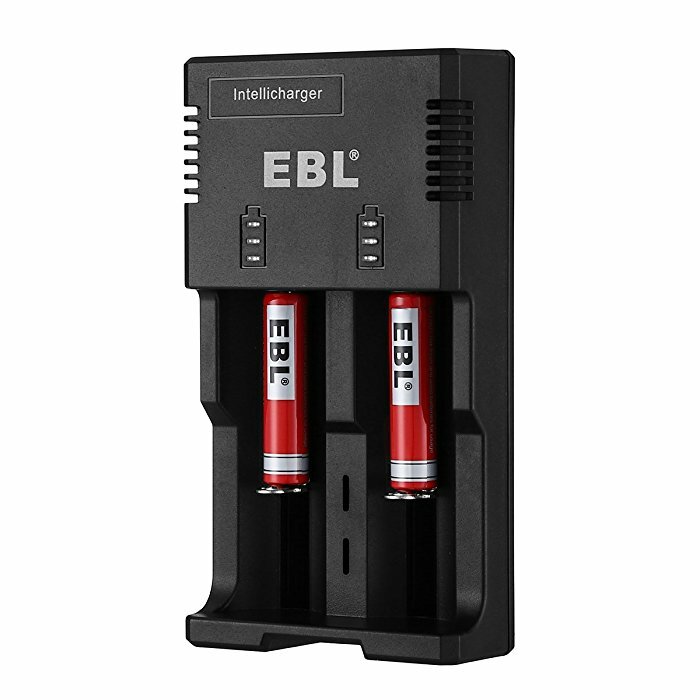 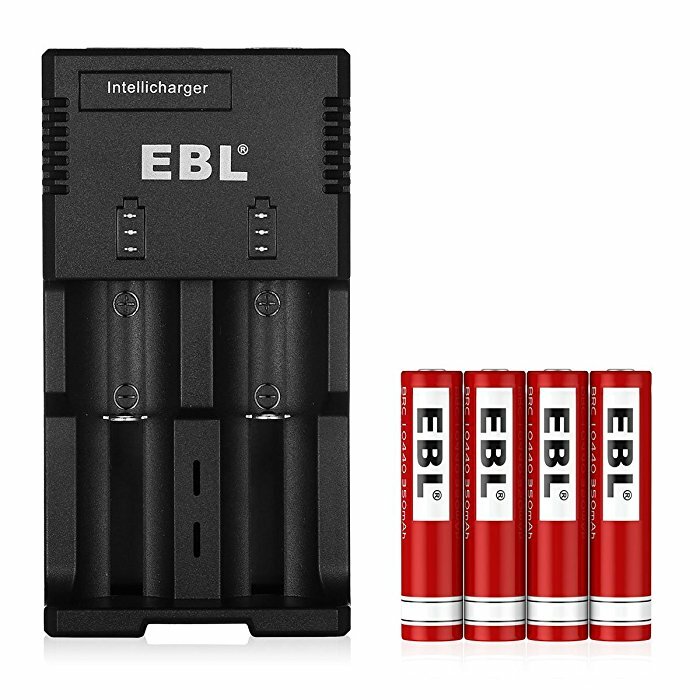 Thanks to the iQuick Technology, the charger can charge rechargeable batteries rapidly with up to 500mA output charging current. 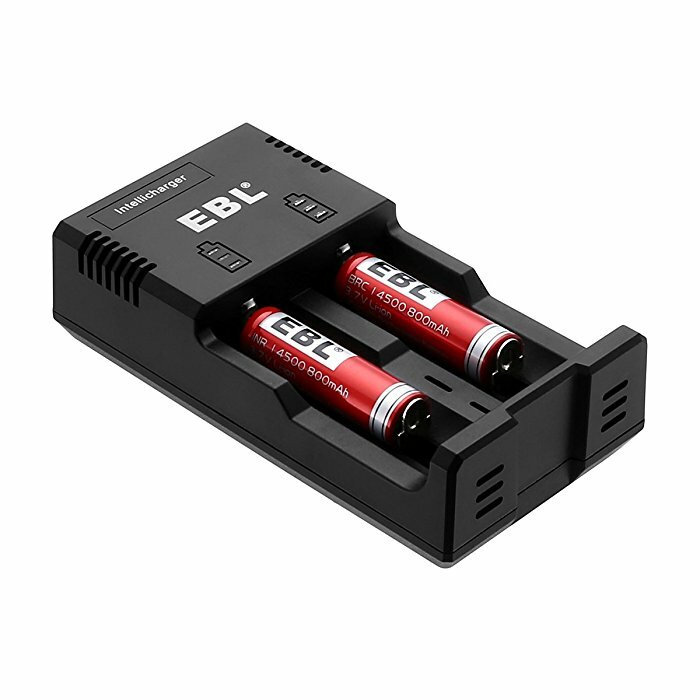 The charger can be used at home and office with convenient DC connectivity. 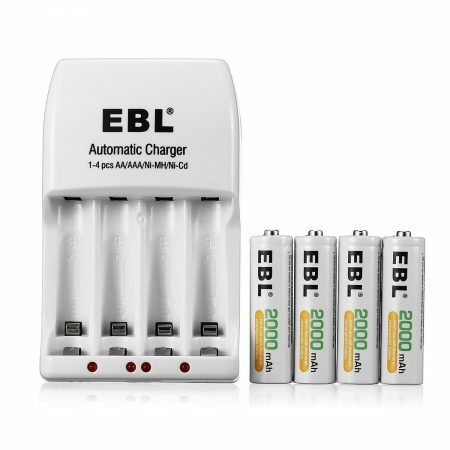 Smart LED indicators let you know how your rechargeable batteries are being charged. 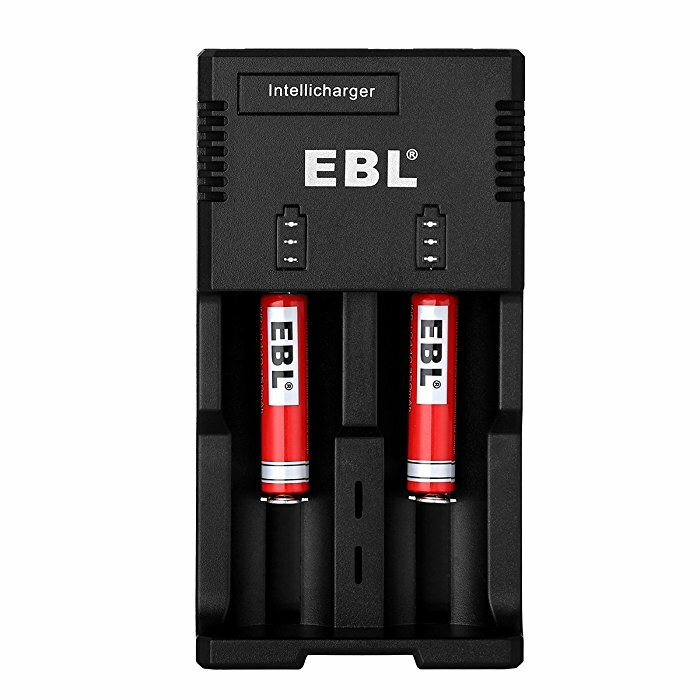 The charger has a small, compact size with great portability for you to carry around anywhere you go. 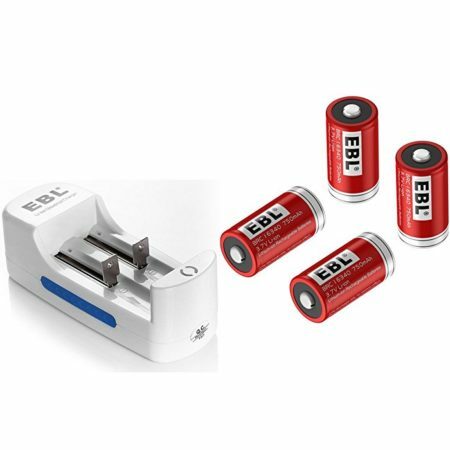 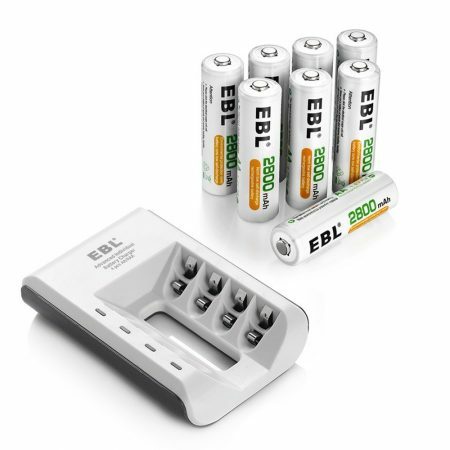 The package includes 4-pack 10440 rechargeable batteries. 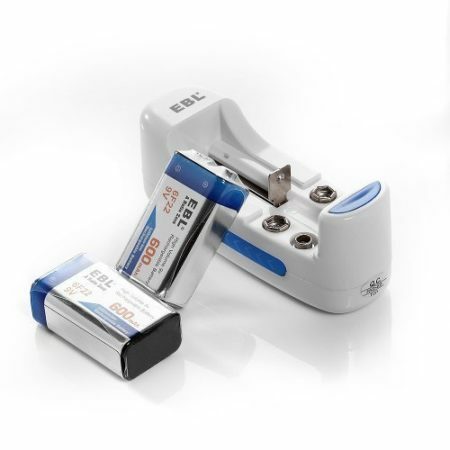 The 10440 batteries are rated 3.7 volts, 350mAh capacity. 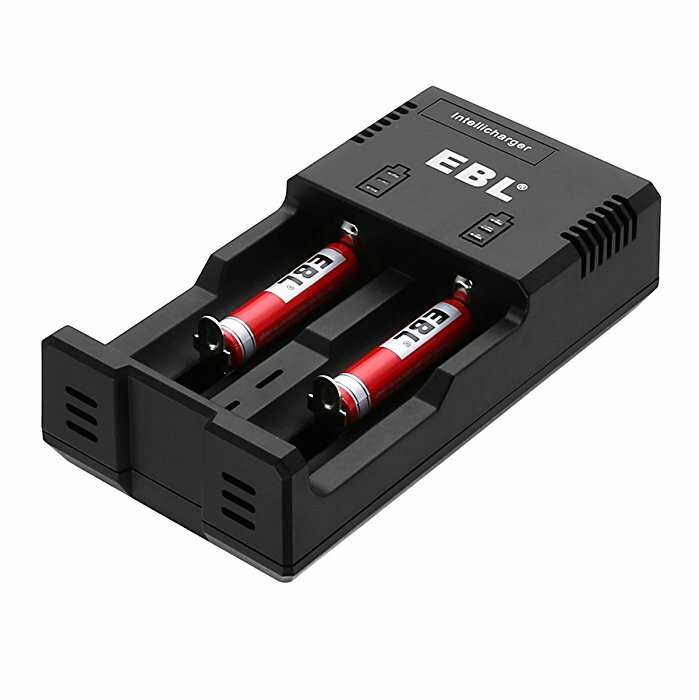 The li-ion batteries have low self-discharge and 1200 charge cyles for long service time.